About Check `n Go Rio Rancho Blvd. Check `n Go Rio Rancho is proud to serve the City of Vision. When life gets unpredictable and you need money fast, look to Check `n Go. Our Rio Rancho store offers a variety of services from installment loans, check cashing and more. In NM, we offer installment loans from to help when unplanned expenses arise. Our friendly customer service associates can help you find the loan option that best fits your needs. 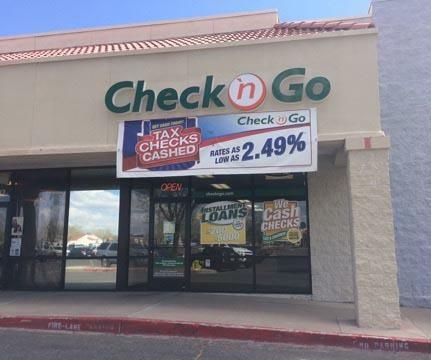 Check `n Go Rio Rancho is conveniently located on Rio Rancho Boulevard near Big Lots. To apply for a loan, you will need at least a valid ID, proof of income, an active checking account and a working phone. Stop in today and you could have money on the spot. * Or apply online – anytime, anywhere. Recent Reviews about Check `n Go Rio Rancho Blvd. Check `n Go Coors Blvd.